Eugene pianist/composer Oscar Green will be making his first appearance in Kathy Parsons’ house concert series on Wednesday, May 23rd at 7:00 PM in Kathy’s home in Florence, OR (Sandpines West). The program will consist of Oscar’s piano arrangements of favorite songs by The Beatles and a series of waltzes he composed in the style of Frederic Chopin. Oscar is a pianist, composer, arranger, writer, poet, and teacher. His musical journey began in Germany at the age of ten, studying with a former concert pianist. He later received a degree in piano performance after three years at the University of Oregon. Oscar’s first album of jazz improvisations, 12 Tunes for Emily, was written for his daughter. Other recordings include Sad Clowns - an eclectic mix of personal compositions, Waltzes for Susan and a recording of Scarlatti Sonatas. His latest, The Beatles - for my brother, is a collection of Beatles tunes with their own special and unique arrangements. Recording the Chopin-styled waltzes is scheduled for early summer 2018. 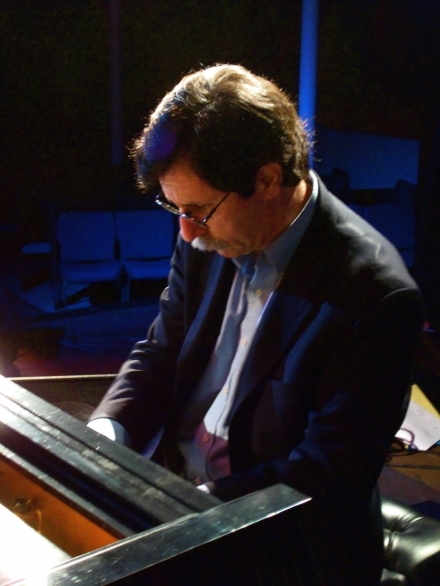 Oscar Green is currently on the piano faculty at the John G. Shedd Institute for the Arts in Eugene, OR where he teaches classical piano and jazz theory. There is a suggested donation of $20 at the door. For reservations, email Kathy Parsons at kathypiano@gmail.com. The address and directions will be furnished when reservations are made. All donations go to the artist!